The Angelina pique offers the same power to transform any bedroom to chic simplicity. It is a must have. This collection's product selection includes a coverlet and shams. 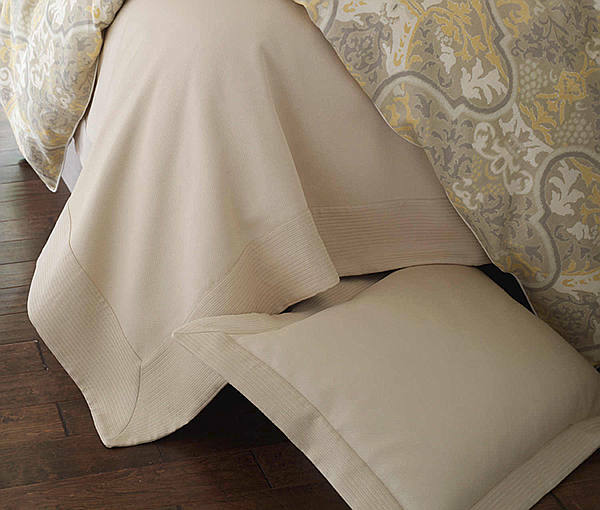 Available in all sizes of coverlets and shams in white, flint and linen. 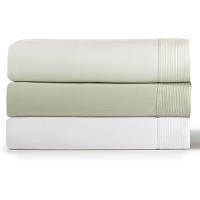 100% cotton, mercerized finish for ultra-soft feel, imported from Portugal. Pique with an attached striped border on the coverlets and shams. Custom made to order in the USA. 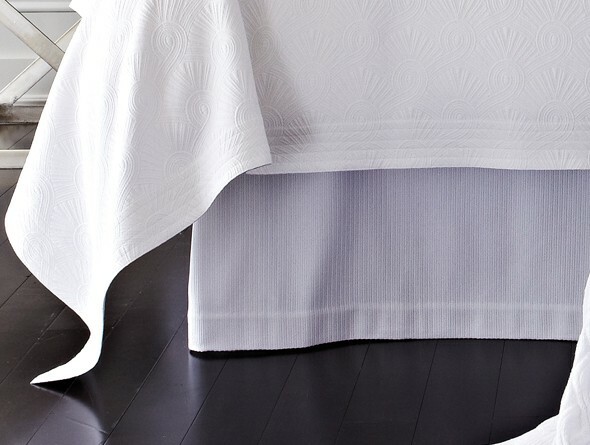 Coverlets have a 5" attached stripe border on 3 sides with a 1" hem on the top side. Shams have a 2.5" attached striped border on all 4 sides with an envelope closure centered on the back. 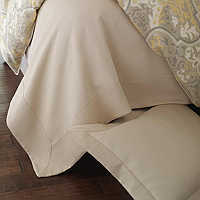 Bed skirts are not lined and are made of 3 panels with center and corner pleats and a 22* adjustable drop. Bed skirt panels are made of the striped fabric that runs vertically. 8 pins are provided to attach the bed skirt.